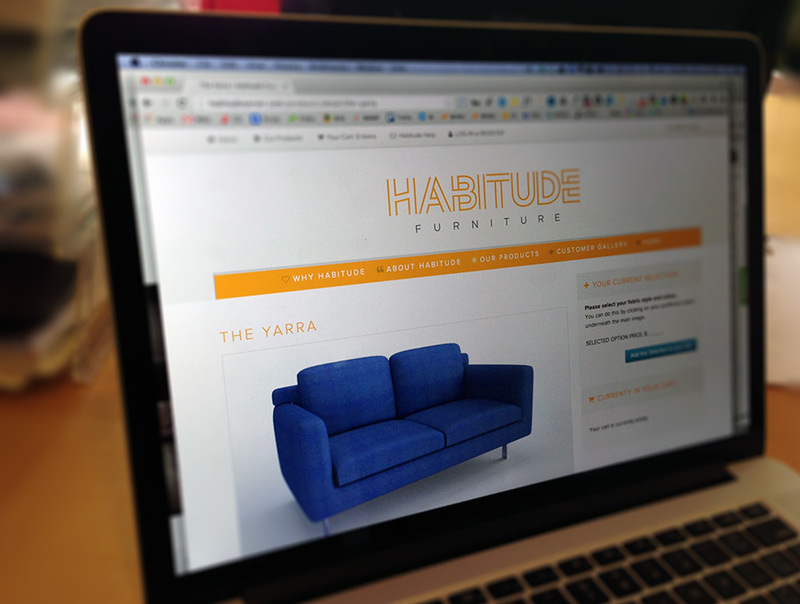 Habitude is an innovative home furnishings brand who are committed to the creation of inspired furniture designs and an unbeatable customer experience, in-store and online. They manufacture long lasting home furnishings that are comfortable, functional and styled specifically to our customer’s needs. Built with ExpressionEngine and the Expresso Store add-on this is a great example of the flexibility and openness the technology provides. The Story Group were able to build a highly customised shopping experience for the user. Customers are able to view the different couches and select and see the results of fabric choices and other options in realtime. Comprehensive order management and backend systems mean that managing the Store, Orders and Customer Data is incredibly intuitive and simple.